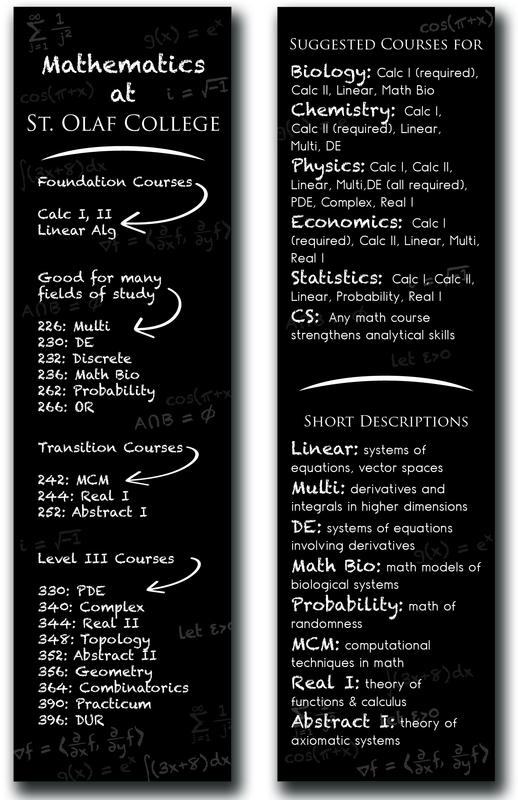 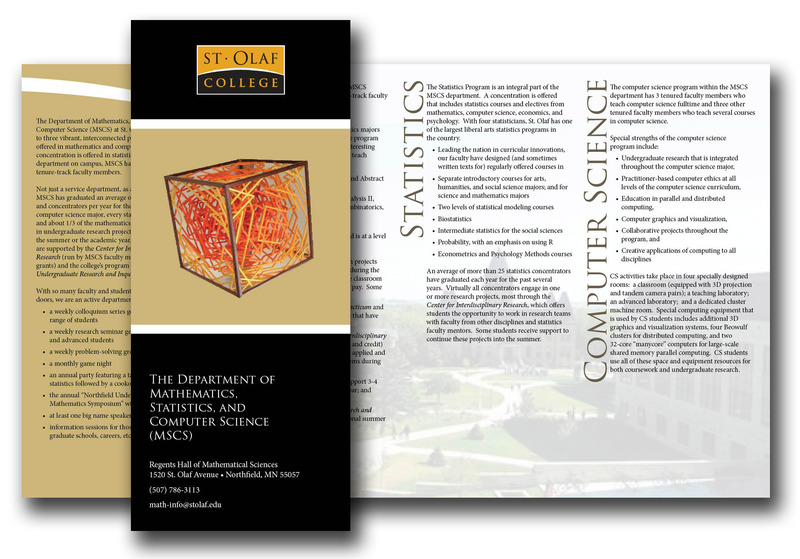 For the Mathematics/Statistics/Computer Science (MSCS) departments at St. Olaf College, I designed an informational brochure for potential students who are seeking further information on the various areas that they could pursue at St. Olaf. 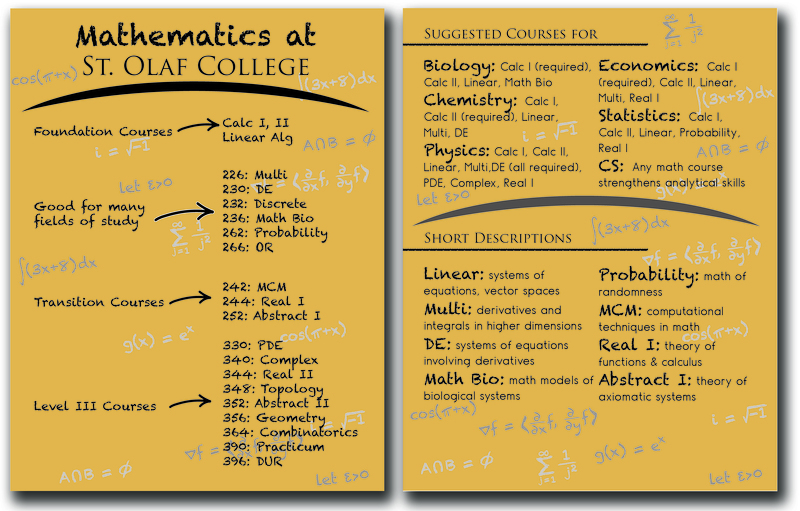 For students who already attend St. Olaf, but are undeclared in their major, I created fun informational pieces about the MSCS department and what it has to offer these students. 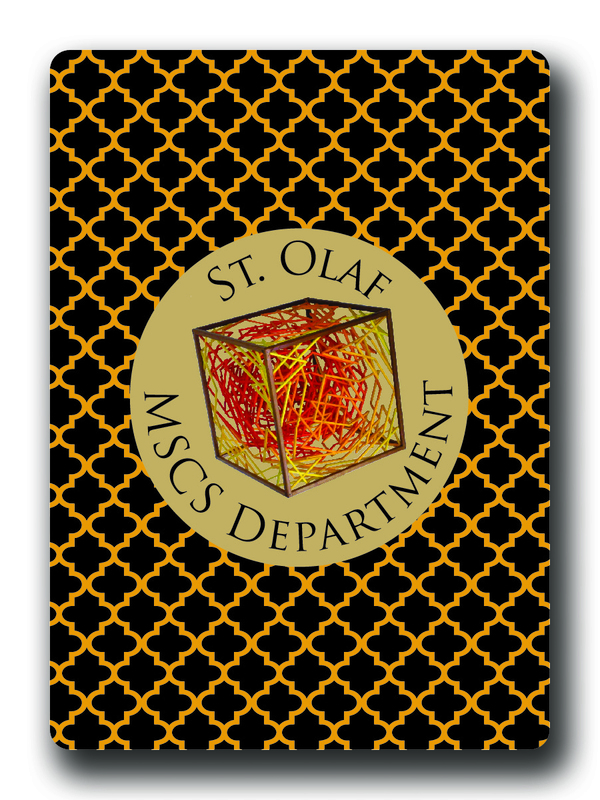 Along with the brochure and postcard, I also designed a fun promotional item, Playing cards!